Jazak Allahu khayran for visiting my website, feel free to leave a message, any comments that you may have, suggestions or if you would like to add anything to this site fill in the commentbox below or send me an e-mail. Jazak Allahu khayran for visiting my website and leaving a message :) May you have a wonderful Ramadan wich is accepted by Allah, Subhana wa Ta'ala. Scroll down to the bottom for the latest messages. Comment: Assalamu'alaikum Wr Wb, Marhaban Ya Ramadhan. 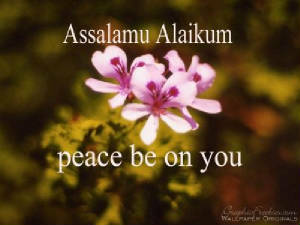 Comment: Assalamualaikum....This is a good site...May Allah Bless all of you. COMMENT: THE NASHEED SINGER IS CALLED AHMED BUKHATER, THE SONG ON THE HOME PAGE IS CALLED YA 3A'6EEMAN AND CAN BE FOUND AT http://www.a2youth.com/multimedia/audio/anasheed.html ALL OF HIS SONGS ARE AMAZING... ENJOY! Comment: alhamdulillah..and thank's for all your effort. COMMENT: CLICK HERE http://nur-ar-ramadan.tripod.com/nuralislaamquran/ TO LISTEN TO QUR'AN AND READ SOME BEAUTIFUL AYAH'S, THE RECITOR IS MISHARY RASHID AL-AFASY.....JAZAK ALLAHU KHAYRAN FOR THE SUGGESTION ZAINAB! but its not a core element. which have been used in this website. yahoogroup and I am glad that I came to view your website, May Allah help us all, keep up the good job. Jazak Allah for your efforts for putting this group together. time .. beutiful voice masha'allah .and great anasheeds..
Gharoor sung by AHMED BUKHATER.Jazakallah Khair. website, so people on that website can benefit from all beauty inshallah. COMMENT OF SITEOWNER: wa alaykum salaam wa Rahmatullahi wa Barakatuhu sis Meriem, wa eyaaki....may Allah bless you and all Muslims always, ameen. Mabruk for your coming wedding, insha Allah, may you have a loving blessed marriage, ameen! There is no such thing as a time where it would be bad luck to get married. It was an old Arab belief that unfortunately some people still hold on to that you can't get married between the two eid's. The Prophet(saws) married Aisha(r.a.) in Shawwal, the month after Ramadan, what more proof do you need? I'm not aware either of the 26th being a good day to get married. It's a terrible thing to make the things that are permissible in Islaam into things that are not, so don't go down that road...Islaam is a clear religion, no room for old tales that turn into bid'ah. So, just go ahead and get married on the date you've already set, i hope it will be wonderful day for you and your family, insha Allah. Allah Bless all of you. Calcutta/India.Where I will find muslim brother as a importer. In many Ayat of the Qur'an Allah says that the reward of the people of Taqwa is Paradise.